Hi! did you have a nice weekend? 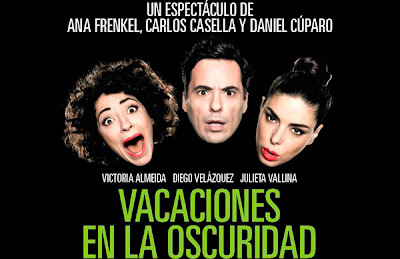 So, if you're in town and have a minimum understanding of the Spanish language, here's a fun play to go watch at the theatre. It's about relationships. A couple that has been in one for a long time decides to take DANCING lessons to get out of the routine. One of the first things that came to my mind after wathing the play is that relationships are complicated, of course, we all know THAT. But, with all the complications and hardships, misunderstandings and trivial (non-happening) things that uhhmm... happen in a SOLID relationship, it IS good to be in a relationship. Don't you think? The play touches the subject of monogamy and one of the characters says something like "it can make people crazy" but, in my opinion it can make people crazier to NOT be in a monogomous relationship. For example, at one point, one of the characters says how much "we need space" when we are in a long-term relationship. This character is talking to another person who has never been in a serious, long-lasting relationship. This person (the one who has never been in a relationship)says "really?? you need space?? and continues... "all I've ever known in my life is SPACE. It must be cool to NEED SPACE". Although the play is mostly funny, it does have sad parts like that. It also talks about blindness (therefore, the name "vacations in the dark"). When we are blinded by love. How we sometimes CHOOSE to be blind. And perhaps, more importantly, WHY we sometimes "decide" to look the other way. 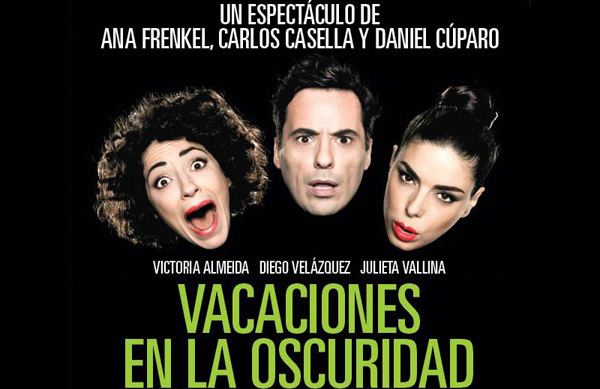 I don't intend to tell you the whole story, but, I do recommend you see the play, cause it does make you laugh and think. Where? Paseo La Plaza, Buenos Aires.